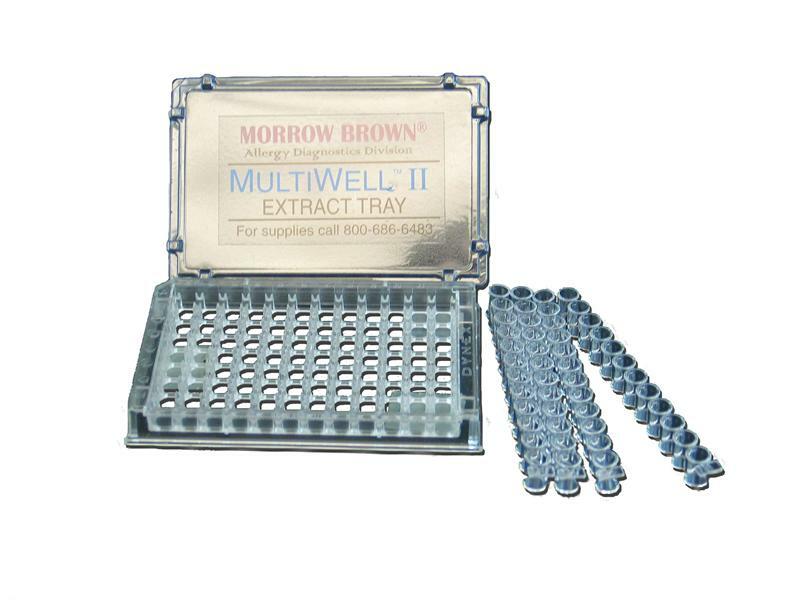 Each tray holds up to 96 wells of extract. 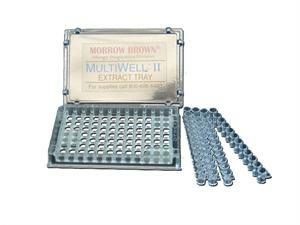 The wells can be customized to match the antigen tests printed on your laboratory test sheet. Each well holds up to 5 to 7 drops which yields approximately 25 tests. For storage, cover tray with lid and store in refrigerator. Trays may be stacked on top of each other.